Our names are Savuth, Savon and Anthony. Savuth and Savon founded this community School in March 2014 with the aim of providing additional education, for free, to those who need it in the local community. 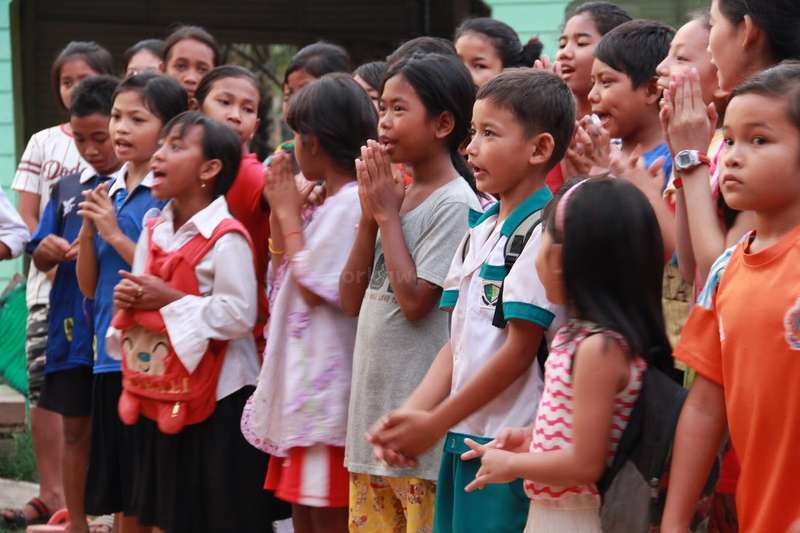 Since then, with the help of volunteers from all over the world, we have helped to improve the lives and opportunities of children from local low-income families in and around Siem Reap. Anthony has been involved with setting up free schools, organic farming, Free English classes in government hospitals and other projects around Asia since 2012. We provide 20 classes per day on site, including English language, French, Spanish, Music/Art and Computer classes, but we are open to new classes depending on volunteers skills. The majority of classes are held in English and as such all volunteers will need to have conversational level. However, please don’t worry if your English is not absolutely perfect as any help is appreciated and having a teacher with basic conversation skills is much better than no teacher at all! As a volunteer we welcome you to stay in our home. We would love to teach you about our culture, food and language. There are dorms and private rooms available, we don’t have a/c at the moment, but we have free wifi, fans and huge smiles! This organization relies on volunteers not only for managing the organization and teaching at the school but also to help raise funds for our projects. We welcome all volunteers for free for teaching at the school, however, you are welcome to book your own accommodation in the city and travel by yourselves to and from the school or other projects. If you would like to experience life in the villages we also offer accommodation with a local family where everyone is welcome and we hope you will also feel part of the family. If you choose to stay with the family we do ask US$42.00 per week to go towards the costs of the house (equivalent to US$6.00 per night) to be paid every Monday for the following week. This covers a diverse range of costs including: 3 meals a day, electricity, Wi-Fi, drinking water, gas, laundry of bed sheets, cleaning supplies, repairs and yes, the list is endless. Please note that this is Savon's and Savuth's private home. The school is located in Po Krum Village Sangkat Siem Reap, street 63, on the way to Tonle Sap lake (5 km from old market), 6km away from Siem Reap center. The classrooms are outside our house and the students are aged 4 - 18 years old. As a volunteer we aim to give you an average of 3 lessons per day, but you could be doing up to 5 lessons depending on your availability and the amount of volunteers staying at a time. with up to 40 children but there are always a minimum of two teachers per class. Students in the public school are used to strict teachers and sometimes they might be unused to Western teaching methods. However, helping to show these students a different way of learning is one of the most rewarding feelings you can experience. We believe that education is the best way out of poverty. Our school offers young students a better chance to succeed in life. Language education is essential for the future of Cambodian children especially here in Siem Reap with its huge tourism industry. Skills in English and other foreign languages provide a quick path to more lucrative careers for Cambodian children. Our students would really benefit from having access to long-term volunteers and those with any previous teaching experience or a desire to develop their skills in this area. Although we would love to host everyone, we are in need of volunteers who are aged 18+ and who can stay for at least 1 month. We receive many applications of volunteers willing to stay for 2 weeks or less, but if you really want to have a positive impact on the children you will find that 15 days is not enough for a proper teaching experience, as you need to allow some time to know the kids and understand their level and needs. Besides, the longer you stay the stronger the trust between kids and teacher will be, creating a special bond that will allow you to get the best out of your students! If you are looking for a short term volunteer experience, we strongly suggest you to look for another project. Requirements: Volunteers fluent in English (Native or Non-Native). We are always happy to welcome volunteers who might not have any prior teaching experience as long as they enjoy being with children and are interested in teaching. ABC 123 class- Teaching of Alphabet, numbers and some basic vocabulary ..
Beginner – Teaching of basic vocabulary and simple grammar structures. Potential candidates must be able to keep small children occupied with engaging activities. Ideal volunteers would be adaptable and willing to manipulate the existing syllabus to fit with the needs of their class. Intermediate – Teaching vocabulary, simple sentence structure, counting and numbers to 100 through speaking and listening activities, reading and writing. Advanced - Teaching of sentences and basic grammar. Ideal volunteers would be adaptable and willing to manipulate the existing syllabus to fit with the needs of their class. Requires more planning than Elementary or Beginner classes. Upper-Advanced – Teaching of advanced sentences, vocabulary and grammar. Potential candidates must be comfortable with finding different ways of teaching the same topic multiple types until the children understand. Requires more planning than Elementary, Beginner or Advanced classes. Duties: You must be comfortable with teaching Numbers, Vocabulary, Greetings, Time and Dates, basic conversation skills in French. This class can be combined with teaching English as well. We are very excited to be one of the very few NGO's in the area to offer computer lessons to our students! If you have some experience in this field, please email us for further details. We would love to hear from you! Requirements: Teachers need to be adept at typing, Microsoft Word, Excel, emailing, basic internet search methods, and any low-level coding experience is beneficial as well. As this is a brand new program for us, we could also use help creating a curriculum that will prepare our students with the most necessary skills in this Information Age. Duties: Teach students basic vocabulary, maintenance, operation, and use of desktops and laptop computers. This class can be combined with teaching English as well. Requirements: Experience in communication, social media, image protection, etc. Duties: Take care of the Facebook page of the school, surveillance and edition of the school's and children's pictures posted on Internet. This class can be combined with teaching English as well. Requirements: Experience raising money for non-profits and managing an organization's public image using various social media. Duties: Maintaining and improving our online presence via Facebook, Indiegogo, Workaway etc., creating student recruitment flyers and organizing volunteers and events to create a positive image for our school. This class can be combined with teaching English as well. We do other projects in other villages and are always looking for ways to help the communties. some places in Cambodia still have to travel miles to collect water from a well, quite foten the water is not fit for comsuption. Sanitation is also a major problem in a lot of area's and with Anthony's help these projects are being put into place. Duties: Volunteers for this position will help with building of new projects and maintenance of current projects. This work can be combined with teaching. We open the the school in the end of April 2018 and by then we will be needing volunteers at both schools. Volunteers will be taught to ride a scooter and will be driving back and forth. In March 2015, we opened “Pagoda” a new school 3 km away from here, in a village called Triev. In June 2016, we opened classes at the local primary school. We are currently teaching 5 classes here a day to over 300 students. In September 2016, with the help of fundraising money, we commenced two new projects. We renovated our English classroom at public school; washing and painting the walls, sanding all of the tables, decorating the walls and buying new resources. We have also built new walls in our classroom and installed new power boxes. Walls will be painted and new wall displays bought and displayed. In February 2017, we were continuing building a new school, 5 km away from the main School in Po Village. We look forward to open it after Khmer's New Year in April 2018! A Christmas Party for the local children is taking place at the School on 25th December 2018 - as many volunteers as possible needed to organise and oversee the event. This promises to be a very rewarding experience and a Christmas day you will never forget!! When you are not teaching or building there are plenty of things to explore around Siem Reap, such as: the Angkor Wat Temples, the floating village in Tonle Sap lake, the local Crocodile farm or simply enjoy the beautiful countryside of Siem Reap surrounded by friendly Khmer people. Bicycles are available. Here we believe in a very positive family orientated culture. We are looking for volunteers who flourish in an environment like this. Please understand that children and their education is our priority so we expect a responsible level of commitment from everyone that wants to join our team. This is an English school trying to empower low resources kids, if you are looking for a cool place to spend a few days taking pictures and sleeping around then this might not be the best project for you. If you come willing to give the best of you to leave a positive footprint for the local population, we are waiting to hear from you! Volunteers able to join our team will benefit from the rewarding experience of supporting children and the local people in a developing community. They will be treated as part of the family, and will experience real life in Cambodia, not just as a tourist but as a local. Being part of such a worthwhile cause gives our volunteers memories never to be forgotten. We require a $42 per week contribution towards 3 meals a day and utility costs which is $6 a day. - A mix of dorm and private rooms, depending on availability when you arrive. Requests will be accommodated as much as possible. Bedding, a mosquito net and a fan is provided. - Wifi is available free of cost. The weekends are free! There is a lot to do around here; spend the day in Siem Reap, visit the lotus fields, the floating village, Angkor Wat, chill with the team in the hammocks bar, etc. We can arrange a tuk tuk for collection/dropping off, as well as for exploring during your time here. Warum lässt workaway.info Inserate von Gastgebern zu, die einen finanziellen Beitrag verlangen? In Entwicklungsländern (wo die meisten Gastgeber gemeinnützige Arbeit oder Gemeinschaftsentwicklungsarbeit anbieten) verlangen einige unser Gastgeber einen kleinen Beitrag, um die Gastfamilie oder NGO zu unterstützen (meist handelt es sich um weniger als 5 USD pro Tag). Workaway lässt diese Art von Inseraten dann zu, wenn die Spende direkt an die Familie oder die NGO geht und nur dazu dient, die Kosten des Aufenthalts des Volunteers abzudecken. (Dies wird im Inserat des Gastgebers deutlich angegeben). Wir lassen keinerlei Inserate von Agenturen, „Vermittlern“ oder Projekten zu, bei denen wir das Gefühl haben, dass sie Profit aus dem Aufenthalt von Volunteeren schlagen wollen. We went in holidays season, so there weren't to many volunteers at that time. But finally we enjoyed the time there. Mama was so friendly and helpful, she will always take care of you. We had the opportunity to go with her for the weekend to her hometown, that was amazing cultural exchange. We hope everything is going well at the school. I lived 6 weeks at the school, sharing a daily life at Po Village with the local family and others volunteers. The environment is really good and we lived as a family. The experience of teaching at public school and also at the project was priceless. The kids are amazing, open to learn and smile all the time. The give so much love to you… read more that makes things easier. I let all my respect and admiration to Savon and Savuth which founded the project five years ago and are still helping the community and transforming kids’ life. It was one of the best experiences in my life. I was teaching but I was learning every moment. It was so hard to say goodbay and for sure I will come back. I do recommend this place to volunteer! I stayed in Savon and Savuth’s home helping teaching the kids one month around February and March 2019. My experience in this workaway is more that recommend. The family that runs the house and the Schools is truly kind, honest and will make your stay unforgettable! If you are lots of volunteers you can really chill or be involved in other… read more projects in relation to the schools is all up to you. Savon cooks really good, healthy and organic and the dorms with A/C are confortable. Ten minuts from the city with Tuk Tuk just to hang out on weekends so the location of the workaway is perfect not far from town and still being able to experience the countryside! It was our first workaway experience. My husband Miles and I loved it! We staid 2 weeks. We enjoyed teaching English to the kids of the local Public School and gave evening classes to children in the school on the property. It was rewarding to help them make progress in English. We had many friendly interactions with villagers as we walked to the… read more pagoda, market, neighborhood or rice fields. So many smiley faces! During our free time it was easy to go to Siem Reap by tuk tuk. We stayed in a comfortable cottage. Thank you Savuth and Savon for hosting us. Thanks to you Anthony for administering this project of love! We highly recommend volunteering here. The School and the volunteering project were founded by some really ambitious people, that wanted to make a difference for the lovely children in and around the community. As a teacher you are staying and living with the other volunteers, who were amazing and open-minded people. You are giving classes every day in both the Public school as well as… read more in the school. You will see pretty soon that your work is really needed and appreciated here and seeing the children being grateful for you is a very rewarding experience, that we both won't forget. Siem Reap is just around the corner and you will have enough free time to visit and explore the city and its beautiful countryside. All in all it was an amazing experience to stay here in a very warm and friendly atmosphere, amongst very nice people. Savuth, Savon and Anthony are very welcoming hosts and i left with a lot of respect for what they built up here. The accommodation is great and you will be able to relax during your free time. The children are so nice and friendly and most of them are really giving their best to improve their english. We will always keep them in our hearts! 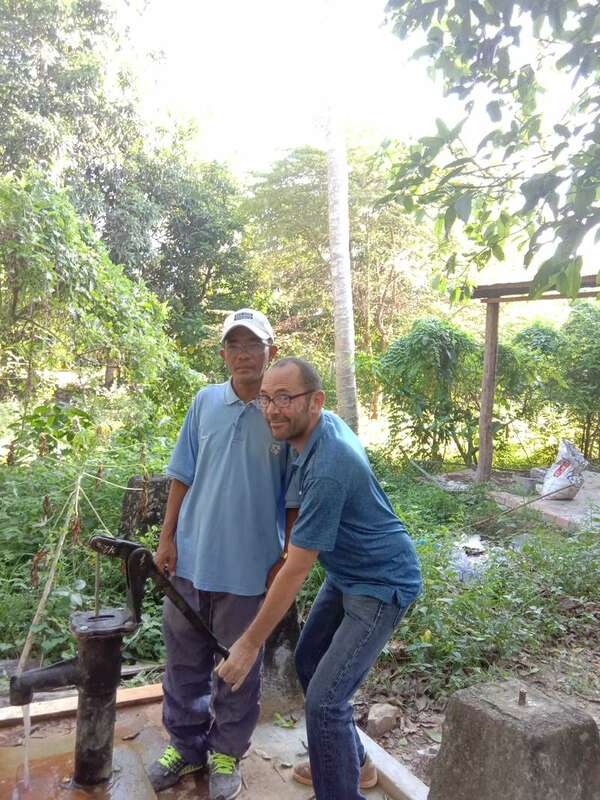 Héctor has been our head volunteer for the last two months, so apart from teaching he's been in charge of the administration of the project. He is not afraid of hard work but always willing to help as much as possible. We definitely recommend him to any host that wants a trustworthy volunteer. Also he is a very nice and energetic guy that helps… read more to create a good atmosphere around him. I have volunteered here for two months and believe me when I say it's being hard to say goodbye. The kids are amazing. Super smart and always smiling, it's been a a genuine pleasure to teach them. At Public School there are like fifty students per class, which makes it hard sometimes, but since the teacher stays at while we teach it is usually… read more enjoyable. Here we give free extra classes to the kids that want to come, there are around twelve to fifteen kids in every class. We have the same class for the whole time we stay, so you can learn their names and create lovely bounds. We have plenty of free time to explore town and the surroundings. The volunteers are super cool people, I'm leaving here with a couple of strong friendships. The house and the village are beautiful and the food is pretty good. The best thing of volunteering in a small community is that locals accept you among them. You won't be tourist or traveler at Po Village but a member of the community, always feeling appreciated for the work you do. Savuth and Savon are lovely, the project is great and the volunteers very cool. I couldn't be happier after my experience here. Jessica and Estelle were two amazing volunteers. Always willing to help and definitely not afraid of working. We recommend everyone to host them! Jessica and I volunteered there for three weeks. It was a very good experience ! Savon and Savuth are really nice even though we didn't see them much. We taught at the Public School and after school here. The kids can be naughty but they are all very cute. The group of volunteers we were with made our experience even better. We had a private… read more room with a double bed and we shared a basic bathroom with the other volunteers. We had three meals a day that we shared with the volunteers (Savon's family doesn't eat with us). We recommend you to volunteer there. You'll be able to discover the real Cambodian life and have a great experience teaching. I had the pleasure of volunteering here and the nearby public school for 1 month in November 2018. I was welcomed by Savon and Savuth who went out of their way to include me in some of their family activities! 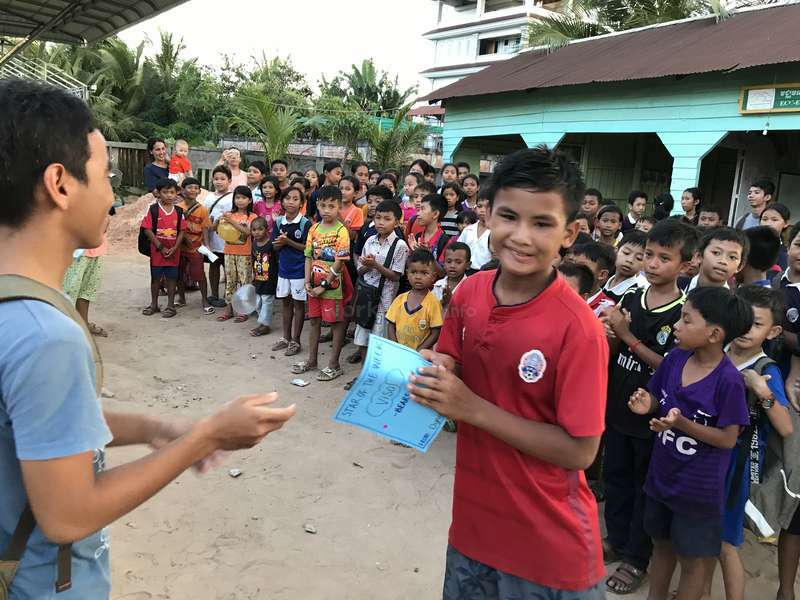 Teaching was challenging due to lack of volunteers and no curriculum to work to, but it was a worthwhile experience and a good way to give… read more a little back to the local community. This place has lots of potential to become a great learning environment for the local kids, so I urge anyone who is thinking about volunteering in Cambodia to visit this place and help out where you can! Really great place with amazing kids and staff. At points it can definitely be a bit disorganized but that’s just a good reason for more long term volunteers to come help out and improve the circumstances. Thank you Savon, Savuth, Anthony, Yens and all the people who have devoted so much of their life to making this project a reality. I spent from the 12th to the 16th of November giving a helping hand with english teaching in the Public School nearby and in the place itself and I really liked it. I was glad to met Olivia (the volunteer who is carrying the class schedules) because he told me a lot about the project they have been creating/building for a while and I managed to… read more enjoy the few days I spent there. Sadly, I already had a place to stay in Siem Reap so I couldn´t stay with them in the Homestay, but I would have loved to! Hope to see you again and thank you for everything! For my first volunteering experience I had a really great time. I enjoyed connecting with kids, and with the other volunteers! The ambiance between us made me feel like at home. I'm also glad that I could bring my help to the community. I hope some day Cambodian english teacher will be present to make this learning efficient in the long… read more term. Also, if you wanna join the school for long term, you'll be more than welcome! The children and the team really need someone who's willing to organize an actual educational program with an efficient follow up ; so that the kids will be able to progress at their best. They have so much potential. Claire was an amazing volunteer! Always cheering the house up with her positive attitude and making everyone feel as if they would be at home. With the children, she found an impressive way to get through them, by playing and reaching out towards there interests. An active militant for the respect of the environment, She proposed cleaning days… read more which were afterwards applied. Natalia was such a great volunteer! Very inspiring as a teacher and all the kids really enjoyed studying with her. Outside of work, Natalia was always positive, cheerful and ready to help others - truly a team player! She also shared us with many interesting life stories. I would just maybe recommend to the school to work a little bit on organisation field so the volunteers’ work be easier and more organised. We enjoyed so much receiving Raquel. She is a communicative person, who makes everybody confortable in the School/Home. Raquel is always finding new ways to teach the kids. She's a trusting person, and always here to help other volunteers. We would appreciate her to come back, so she can share her dynamic energy! I stayed in here for 4 weeks and I had an amazing time, one of the best experience in my life so far without a doubt. The kids were really kind and friendly and the volunteers as well. I wish I could have stayed longer, leaving this place was really hard. I truly want to go back here again and I definitely recommend this experience. Thank you… read more Savon and Savuth for being so kind and warm and making such a good experience for the kids but also for the volunteers possible. I already miss the kids, the volunteers and the family!! Besides, I really enjoyed meeting local people and talking to them. Siem Reap is also a very enjoyable and nice city! To teach english in Cambodia and get know the local culture is a huge experience. We are really grateful for this opportunity. The children are really motivated to learn and its pleasure to work with them. Teaching in public school is more challenging especially when its super hot. We made a new friends, gave our knowledge to children and… read more learned a lot from them also! We already miss this place! This is a place with so many beautiful and kind children, and you have the opportunity to teach and learn so much. We had the pleasure of Emily's company in a month at the school. Emily is a very inspirational teacher and she is putting a huge effort in all of her classes. We would recommend Emily to all the hosts who wants a funny, ambitious and caring volunteer. This was my first workaway and I couldn’t have had a better experience. I had never taught before but the other teachers give great advice and I was able to co-teach in a couple of classes before taking on a class of my own. The kids are amazing, so energetic, positive, and fun. I really became invested in their development and genuinely enjoyed… read more teaching my classes. The village around the school provides a perfect opportunity to immerse yourself in Cambodian culture, the local cafes provide great cheap drinks and a nice place to prep for classes or just relax during breaks. The schedule provides plenty of time to explore Siem Reap, and most volunteers take a weekend for Phnom Penh and to see the temples at Angkor Wat. Siem Reap is a wonderful city to have nearby with endless cafes, pools, and neighborhoods to explore. I can’t recommend this opportunity enough! We really enjoyed our stay at the school. The kids we taught each day were so full of laughter and smiles and it was very rewarding seeing their progress over the month we stayed there. The other teachers were all awesome as well and we felt like it was a real family between the teachers and students. The area is in a very beautiful village just… read more south of Siem Reap and you get weekends off to explore around the area. We will miss the teachers and the kids and hold onto our awesome memories we made at this school! I've stayed 3 weeks in the school in January. I was a bit nervous at the beginning because it was my first experience as a teacher but as soon as I got to the school and met the team I felt comfortable and at home. We all helped each other to prepare the classes and shared ideas. The children are amazing, I can't realize how much I've learnt by… read more their side. I was one of the best experience of my life, I'll never forget them. I taught English, computer skills, and music here in June 2017. The village is amazing and the local people make you feel as part of the community right away. 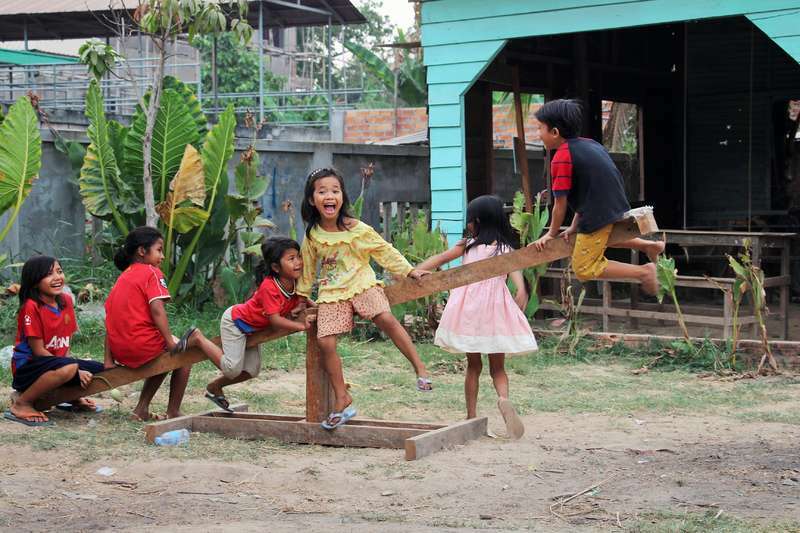 Kids here (also elsewhere in Cambodia) are one of the happiest and smartest you'll ever meet. It was my first time volunteering and teaching and it couldn't have been better. I really… read more enjoyed the experience of teaching and planning classes here - challenging but also the most rewarding work I have ever done. Thank you Mama & the family, fellow volunteers, and all people in the village. Highly recommended! We have been volunteering in the school for two weeks and we can say that it was a magnificent experience. We met lot of wonderful people from the family that run the school and especially the volunteers with who we become friends. Teaching to kids was emotional and fantastic. All of them gave us lots of energy just because of their willingness to… read more learn. They really need help, If you want to be important for someone we recomend to go there. We hope one day we could another experience like this. I had an amazing experience volunteering here. The children are great fun and eager to learn. Mama, Gemma and the other volunteers made me feel like part of the family despite my short stay. Such a rewarding experience, I would highly recommend this work away! I came here not knowing what to expect. When I first arrived I was a bit overwhelmed as I was not accustmed to the heat and small village living conditons. All my worries dissipated as soon as I was introduced to the children. They are the most amazing kids with so much energy and so eager to learn (most of the time). Mama is incredible and the… read more most inspiring women. She makes all the volunteers feel extremely welcome and creates a wonderful family atmosphere. The school manager Gemma is also amazing and works so hard to make sure the children are receiving the best education possible. She was extremely helpful by guiding all of volunteers how to teach their classes. Last but not least, you get to work alongside many other volunteers from around the globe and make great new friendships! I would 100% recommend this experience to anyone who is looking for a very fulfilling and life-changing Workaway. Amazing experience. It was a pleasure to have been part of the family. We had so much fun teaching the children! Great environment. Good location as well; can easily go to the city in your free time or weekends. Thank you for the opportunity! 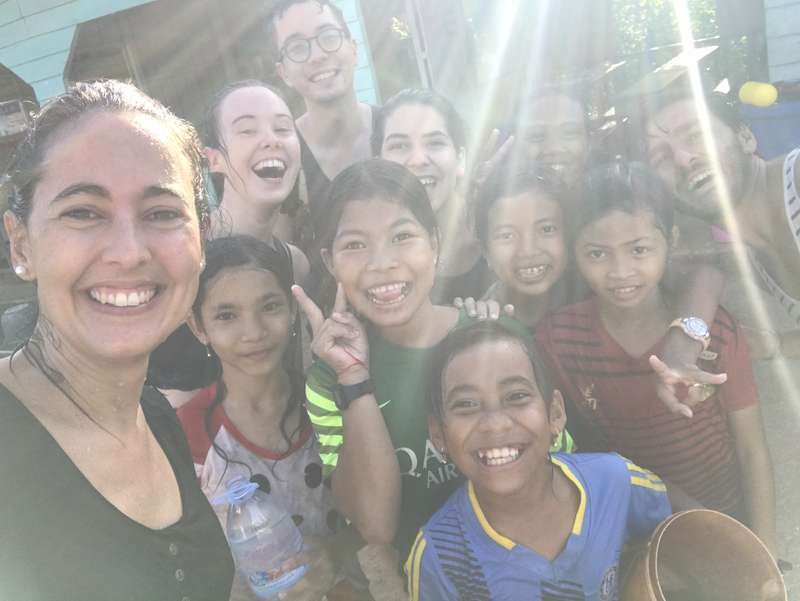 Having volunteered before at other NGO's and worked with children before, I can absolutely say that this school is really making a difference in both the community and the children's lives of Cambodia. Mama, Savuth, Gemma and all the volunteers truly put their hearts into giving the best possible education to the students. The kid's enthusiasm and… read more desire to learn is truly inspiring and will make the teaching process a very rewarding and fun experience. The volunteers that come here are all amazing and in a matter of days they become like family. I stayed here for two months and I made incredible friends from all over the world. I would definitely recommend anyone near - or far - from Cambodia to make a stop here and witness what real hard work is all about. i was in here first for 3 months (first december 2016, later february-april 2017). I loved my stay here. Savon and Savuth are great, they are doing a great job. I have always been treated as a family member, thank yo so much!! It is great because you share a lot with a lot of volunteers, from all over the world. We share a lot and we have… read more a lot of fun. Finnally what i miss more right now are the kids! they are great! the classes are very funny, and it is great to try yourself as a teacher if you have never done it before. The school is growing a lot and all the times they are having more kids of the community. I absolutely recommend to come!! Regards to Mama, Savuth, Shana, and all the team!! Eddie was truly a fantastic addition to our school. From then beginning he was able to make a connection with the students. Teaching in the classroom came easily to him and promoted the importance and fun of English. He was also able to be a great role model for the children at the same time. We are very thankful to have had such an enthusiastic… read more and positive volunteer at our school. Wow! Amazing, trustworthy, warm-hearted coordinators. Thank you Gemma. Thank you Helena. Thank you Savon and Savuth. To my fellow Workawayers, if Cambodia is on your agenda (or even if its not) it is absolutely essential you stop by the school! Basically, I spent November of 2016 at this phenomenal place and then couldn’t bear to be away so I came back for 2 more months! The school encapsulates the sense of community and love that this beautiful country has… read more used and continues to use to rebuild from the horrific tragedies of their past. Mama and Savuth go above and beyond for all their volunteers because they are so grateful for the time and effort you put into the school. All volunteers that come here are aaaamaaazingg, it is hard to not get along well with everyone. This is probably because everyone who comes here has the same main goal – to provide the best education possible to our students. Speaking of our students, I might be biased because of my teaching background but they are just so damn awesome! If your having a bad day, I can 100% guarantee that after you teach your class you will feel so much better! And if you have a not so great/ super crazy class… well you can laugh about it later! It’s hard to miss home when you so easily feel like you are with family. You have plenty of time to explore when you’re not teaching and you just simply will not regret becoming a part of the fam!!! I really enjoyed my time spent here. The children were fantastic to teach (most of the time!) and they like to learn. The family were infinitely helpful with sorting out any problem and organizing trips. 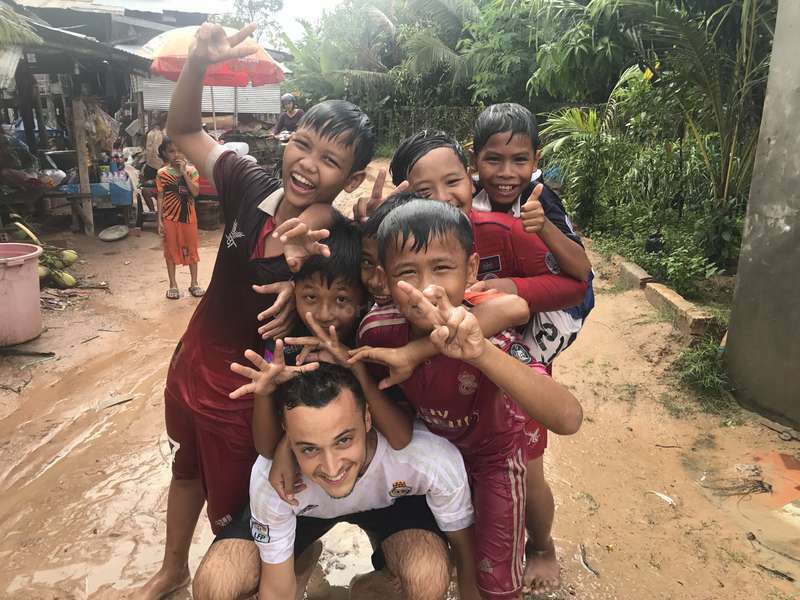 The food at Mommas house was 5 star and on the weekends I was able to explore Siem Reap town, Angkor Wat and Battambang on trips with other… read more volunteers. All of this really made my experience. The only downside I would say is that initially I thought I would be teaching science and maths as a new context for learning English which I was really excited about, but I ended up teaching mostly at the public school nearby which demands a lot of energy. But this is the nature of volunteering and things can change very last minute to accommodate roles that are most needed at the time. The school was very organized but there wasn't so much say or choice as to your classes. Overall however, a really positive experience. Thank you to Momma, family and all the volunteers that I met for showing me a fantastic time! One month at the School was the most fun we've had during the last six months of backpacking through SE Asia. The school children are fun and friendly, and so are the volunteers. "Family" is the most accurate way to describe the house dynamic. We are so grateful to Mama and Savuth for hosting us. This was a life changing experience, and we hope to… read more come back again soon to volunteer more of our time! Thank you Chris for your lovely words and all the effort, enthusiasm and care that you put in here. All your passion and skills were shared not only with the children but with the rest of the volunteers and we will be always grateful for that. We hope that one day you come back and we can continue singing, playing and learning with and from you! A… read more lot of love from all the family! Volunteering at this school was the single best experience in my six month of travels thus far. Savon and Savuth are amazing hosts, such warm and friendly people that will instantly treat you like family. The children are adorable and eager to learn, and I had a blast playing futbol with them after class. The volunteers were some of the kindest… read more and most genuine people I've ever met, and the group of us became extremely close friends in just a few weeks time. 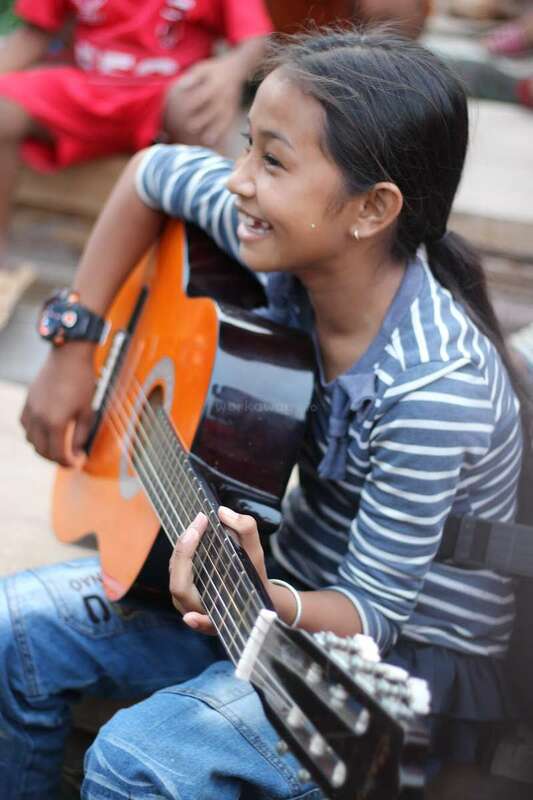 After teaching, we'd spend most nights playing guitar with the kids and hanging out on the roof playing games. The experience was beautiful, and I'll cherish those memories until I have the opportunity to return back to Po Village. Could not recommend this place more. Much apprecation to Inka, Gemma, Fabio, Roger, and all of the other long-term volunteers that do so much and made all of our experiences that much better. Thank you Victoria and Graeme for being part of the School and the family. Your enthusiasm, experience and positive energy brought the school fresh air and a lot of ideas which helped us to make new steps towards the improvement of the School. Victoria and Graeme worked non-stop with the children and went into the dynamic of the house since the… read more first day. Their smiles and humor made everyone feel like at home and their presence in the classroom helped many students to improve and enjoy their learning experience. You made such a difference here, Anna. Your teaching experience, patience, dynamism and confidence were part of the positive development. We are eternally grateful for all the work you have done and the hours spent improving the way we teach. With your presence here, we have been able to start working towards an amazing future for these… read more children and the project in general. We hope to host you again in the future and we wish you the best in all your upcoming projects. I don't even know where to start. I spent three weeks here and I really felt like I was a part of something bigger. It was an amazing experience on so so many levels. The kids you teach, Savuth and Mama who set it up, the other volunteers, all make the experience a truly fulfilling and magical one. Your energy, good vibes and enthusiasm were the perfect complement for the school and all our team. We are really happy and grateful for all the amazing work you did with the kids, for sharing your experience with the team and for taking care of all of us. If you want to take part of a incredible project, this is for you. I spent 3 weeks and it was the best experience of my life. Mama and Savuth have a huge heart. The children are awesome, I miss them. Our team of volunteers were also perfect. The Village is so cool..
Monya is a person full of energy and enthusiasm. She spent a month at our school and we're so pleasant to be around. The kids loved Monya immediately. She spread so much joy! She was always willing to help and share her knowledge! Thank you so much Monya for being a part of the school. I stayed 3 weeks at this place and I really enjoyed it. The kids are soooo amazing!! Everyday I taught 2 English classes. The kids are on very different levels, but it is rewarding when you see them imrpoving day by day. 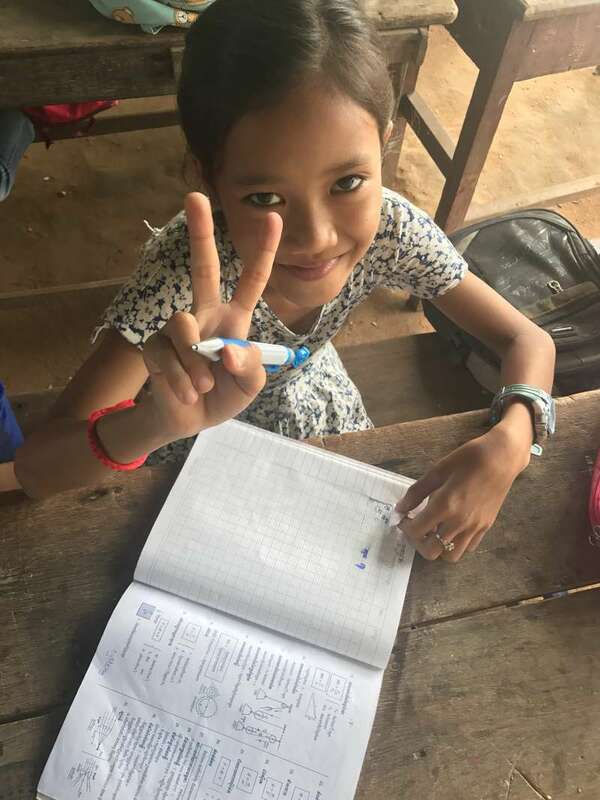 The village where the school is located is so nice - you get to know the real Cambodia and I loved my daily walk to the… read more market for local breakfast and super sweet coffee. Mama and Savuth are really caring and helpful, the food is delicious and they built up a really nice place for all the volunteers to stay. It is like being part of a really big family. Thank you very much for the great time! I really enjoyed staying with you and lear a lot abaout teaching kids and cambodian life. This place is amazing... I spent a month here and enjoyed every minute of it. Savuth and Mama are very warm and welcoming hosts, and all of the other workawayers were awesome. The village itself is so pleasant, every day I would walk down the street on the way to public school to be greeted with smiling faces and children shouting Cha (teacher)… read more Ben! The students are very lively and enthusiastic, and the work is very rewarding. Every evening after class we would play games, guitar and sing with the students. So many happy memories here, I will miss the 12 cent waffles at the local breakfast, (don't worry you mama gets these for breakfast anyway I am just greedy), singing, relaxing on the roof in a hammock, late night film sessions, parties etc. The food was amazing, and fresh fruit shakes upon request :). Overall this was my first workaway experience and if the others are anything like this I'm in for a great 2017. My stay intros school is probably my best volunteering experience so far ! The project is so meaningful and the people you meet there (the volunteers as well as the children) are so amazing that it is a real pleasure to be part of the family ! Mama and Savuth are the most generous and open-hearted people I know, who dedicate their life to help the… read more children of the village by providing free english classes. There are all types of classes, including classes of 50 students in the public school (which can be quite challenging sometimes) but the global atmosphere of the place is so friendly that it is totally worth it. The city center of Siem Reap in only 10mn away buy tuk-tuk. Besides, did I mention that the volunteers usually play volleyball near the school on weekends? If you have a few weeks to spare in Cambodia, just go for it, you won't regret it ! Amazing experience here ! You are in charge of your own class. What Mama has achieved there is amazing. The school is so cool. As soon as you arrived you understand why you pay. Everything is free for the children and mama is managing all by herself and the volunteers. You want to be involve in a good project you have to go there!! Thank you to… read more Savouth and Mama and also to all the volunteers! You are doing a wonderful job! I was SO Lucky to have chosen this place - Savon and Savuth as my first ever Workaway experience. The energy in the house and in the classes was really positive. I feel like those children have given me much more than i have given them ; they are Rich of love, generosity, Humility and of so much Life. Still think about them often..
Unluckily i had… read more planned to stay only 12days there but it was far from enough, i wished i could have stayed at least a month. or more! I truly recommend this host and encourage everyone to go there, they are Always keen for more volunteers. oh and Mama sometimes organizes little outings for you during the weekends which were pretty cool moments. The amount of positive feedback this place receives speaks for itself. I came for two weeks in February 2016, ending staying out the month and returned in May to do it again because I liked the experience so much, This is pretty typical of a lot of volunteers who come here! Savon and Savuth are big-hearted people and have an amazing thing… read more going here for the kids in their village and the volunteers who pass through. After a year traveling through SE Asia and various workaways I've participated in, this one remains one of the most special. I volunteered here for 4 weeks in August. I cannot put into words how incredible my experience was here. From the moment I arrived I was made to feel very welcome by the other volunteers, the students and Mama, Savuth, Sokthea and Channa. Teaching there and the public school is the most rewarding thing I have ever done, the children are so lovely… read more and I really enjoyed getting to know them individually. They are the friendliest, most generous, kind hearted little people and it was a pleasure to spend my time teaching them. It felt like a home away from home, Mama goes above and beyond to make sure everyone is happy and treats you like one of her own. I loved living in Po Village, walking to and from school or to the local shop, everyone stops to say hello, making you feel very welcome. If you are thinking of teaching in Cambodia, make sure you go here, I can't recommend it enough. Mama and Savuth are my heroes. Highly recommended!This is a growing NGO that has achieved so much and yet has a lot of potential. Volunteers are the heartbeat of the place as there are no local teachers yet, and volunteer contributions pay for school supplies and necessary repairs. We stayed for two weeks, learnt a lot, hopefully progressed the children's English skills, and… read more will never forget about here. The impressive motivation of the children to learn English is incredibly inspiring and makes every minute teaching worthwhile. The smile on their face when you praise them for getting a question right or winning a game is worth all the hard work in lesson planning. As a volunteer with zero teaching experience, I learnt an incredible amount very quickly due to the sharing of knowledge among volunteers, useful materials such as flashcards and valuable information in the logbooks. From my experience, the children learn well when they read, listen and speak more, rather than writing which is what they prefer to do. I also learnt it is worthwhile and a lot of fun to revise topics they have already learnt. You can play fun games to test their knowledge. - IMO, the most important long-term goal is setting up a teacher training program for locals. This will provide a permanent supply of teachers should volunteers be rare, while also empowering locals. - The most important short-term goal is recruiting a local part-time teacher or two. This can be an interim solution prior to finalising a teacher-training program. Approaching nearby high schools to recruit an English teacher is an option. Also, with tourism as the main industry, there are an abundance of tour guides and hospitality staff with great English that could take on the role. - Another important long-term goal is to continuously review and improve the syllabus. When we were there, another volunteer (qualified elementary school teacher) was revising the syllabus. It will be great for future volunteers to continue doing this. Savon and her husband, Savuth, are an incredible couple with hearts the size of elephants. When you learn about their life story it will truly make you believe the generosity of Cambodians has no limits. Lee stayed here for 7 weeks in total. During her stay she was teaching English. Her classes ranged from 5 - 45 students. She is an excellent teacher, she was always well prepared for classes and was always thinking of interseting ways to introduce new topics to her students. Lee was well respected by her classes and the students have missed her… read more a lot. Lee was always happy to help out when ever she could, no task was ever too big. Lee was happy to help out building a road to the new class room and assisted in cleaning the new class room at primary School before classes started. She was also great at mentoring new volunteers and made them feel at home straight away. Lee built strong, lasting friendships with the other volunteers and quickly became a member of Savon and Savuth's family. 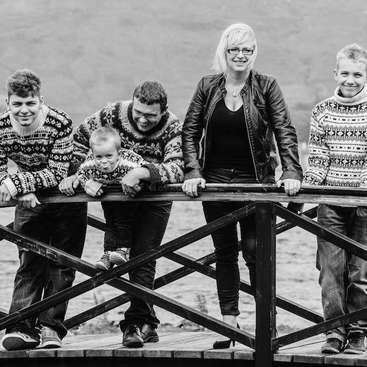 Lee's positive and bubbly personality always had the family laughing and smiling. Lee you have been greatly missed and we cant wait to have you back at in the near future. Much love Savuth, Savon and the family. I originally came here on a bit of a whim only planning to stay two weeks, I ended up staying three. After a month of travelling, I found myself being drawn back to do a further four weeks of teaching! 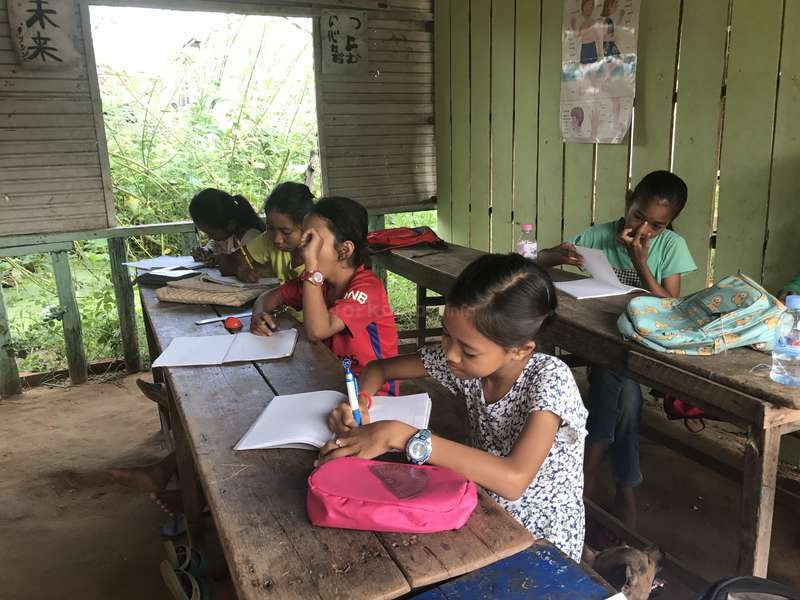 Savon, Savuth, Channa and Sokthea are all amazing and kind hearted people, giving up their home for the school and the volunteers, so the children… read more of the village can improve their language skills outside of their public education. All of them made me feel so welcome and comfortable, and very quickly it felt like my home away from home! The children are fantastic and so eager to learn. They love getting to know the new volunteers and finding out about you and where you are from. The classes are all small and I enjoyed getting to know all my students and then trying to tailor each lesson to that particular class. A recent development is volunteering at the public school to teach the English lessons to classes of 30-40 students. This can seem very daunting, but we always taught with a minimum of two teachers per class. These lessons are a completely different experience, in some ways it was harder as you have to keep the attention of a far larger audience but it means you are able to get to know many more students who aren't able to come to the project. I genuinely enjoyed teaching all my classes, even the more free spirited children! Like many other volunteers this was my first WorkAway experience and when I arrived I was nervous. However I instantly felt welcomed, not just by my new Cambodian family, but also by the other volunteers living at the school. I really enjoyed the communal living and the food that Savon cooked for us was amazing, you definitely get to try some authentic Khmer dishes! I truly made some very good friends some I went on to travel with around south east Asia and others I plan to meet in the future! 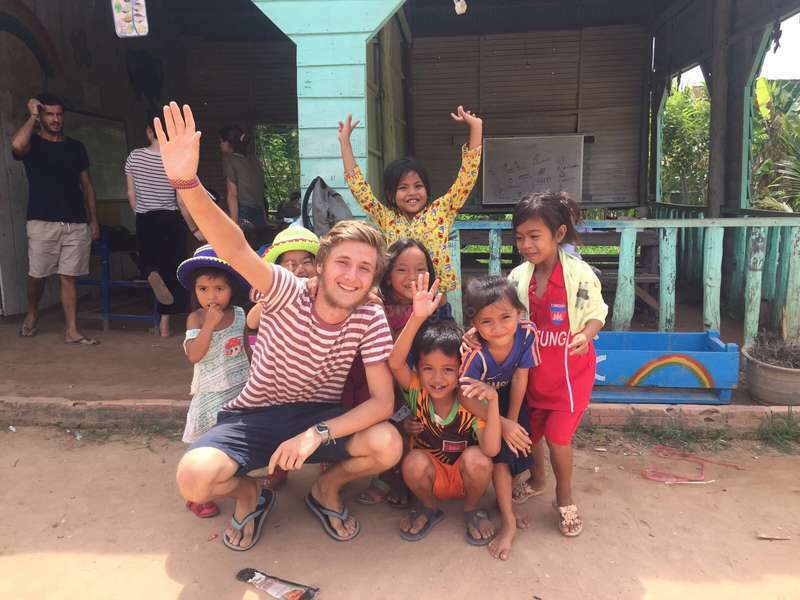 The experiences I had whilst volunteering here (both teaching and outside of the classroom) were completely unique amongst my travels and I will never forget them! I would urge anyone contemplating volunteering at a school to come here and to embrace every minute of it! Grace came here two months from Mar-May, during her stay she was in change of Administration and was also teaching English. Grace really was a member of the family here. She went out of her way at any time to help the family and other volunteers. 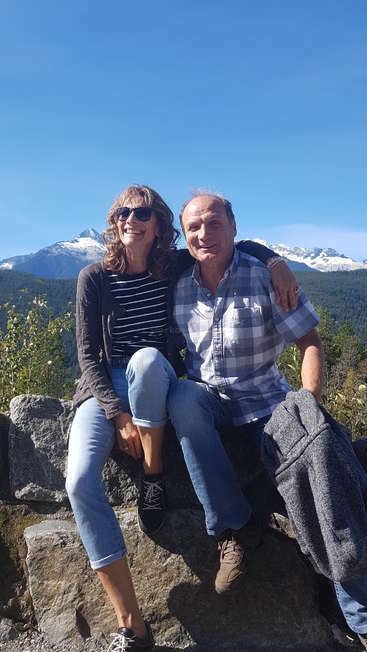 We were so lucky to have Grace stay with us, not only was she a great teacher but also a great… read more mentor for the new volunteers arriving. She ensured that everything here was running smoothly and has fantastic organisation and administration skills. Grace's positive attitude and friendly outgoing personality made new volunteers feel at home straight away. She would always lend a hand to anyone who needed her help. Grace you have been greatly missed by the students and our family. You are always welcome here and we hope you come back soon. Wow! I spent two months here from Mar-May this year and I feel so lucky and grateful for being able to experience it! Of course I was hesitant at the start as this was my first work away experience. However I don't believe I could've asked for a better one! Spending two months there I was privileged enough to really get to know this family and… read more feel at home. Host mama 'Savons' acts of kindness were never ending to the day I left. She continues to go out of her way for anyone whether it be to get coconuts when any volunteer had a sign of being unwell, coming back to the house one afternoon where she had bought home a hitchhiker for the night as the rain was coming, to when I went into Siem Reap with her one evening and I noticed she wasn't walking beside me only to look back and see her arm in arm with a westerner helping this lady get across the busy road, not to mention the fact the family don't think twice about giving up their beds when there are additional volunteers. They truly are an incredible and admirable couple, welcoming me into their family (and every volunteer) as if I/they am/are a part. They give everything and I mean absolutely everything they have to devote their time and what money they have to ensure the running of this school. I can tell you from living there this community deserve this and so much more. It's a community of such genuinely kind hearted people; not a day passed during my stay where I was not greeted by strangers as I walked through their village. It really is a special place! I spent 5 wonderfull and incredible weeks there! The kids are awesome and their enthusiasm make you love the time to go to start your clarss!! Savuth, Savon and the rest of the family make you feel like at home since you arrive! I will never be able to explain how welcoming i felt, there are more workawayers so, you will receive feedback from… read more people already volunteering there before you. Totally worth it since the first day, and i have to say i left that place knowing that i will come back! Lots of love!! Paulie! Were can I begin, you are fantastic! You are an amazing teacher who always put 120% into every lesson. Your students were always smiling and having a great time in class, it was also amazing to see how much they learnt during your time here. You were always willing to help with extra jobs around the house and school. You have been… read more greatly missed by the students and us. You always have a home here and we can't wait for you to return. My first workaway experience and one of the happiest times on my travels. I arrived with the intention of staying for 2 weeks and finally left after 5 as I really loved the place. Prior to coming here I had no experience teaching but other volunteers were really helpful and gave lots of advice. The work was mainly planning lessons and teaching… read more english to kids (and a few adults), teaching up to 3 classes a day with about an hour for planning. Classes are organised by ability so there is opportunity for lots of variation in how and what you can teach. The students are really keen to learn, many do 4-5 hrs of regular school before coming for extra classes. As well as being motivated they are super sweet and fun too. The new computer room is in the final stages of construction but while I was there I got to help out with, painting, building a path and replacing some roofing too. Hard work in the heat but satisfying. Living in the house was great fun. There were between 10-12 volunteers at any one time so there's always people to hang out with and I made some friends for life during my stay. Siem Reap is a short tuk tuk ride away so weekends you can socialise while you enjoy the city. Mama and Savuth take care of all the volunteers and it genuinely does feel like a big family. Channa and Sokhtea are both great characters and will have you in stitches, Sokhtea has a complicated hi-5 which takes a week to learn and Channa loved sneaking up on me and making me scream like a girl. Accomodation is comfortable as long as you're not expecting luxury. Mamas food is excellent, so good I came away a few kilos heavier than when I arrived! I wouldn't hesitate to recommend here to anyone thinking of going. The work they do for the local community is so beneficial and Mama, Savuth and family go to great lengths to make volunteers welcome in their home. As long as you enjoy working with kids and go with some enthusiasm you're guaranteed to have an awesome experience. Martin thank you so much for the time you spent at the school! We were very sad to see you leave. You helped so much and lent a hand to anyone who needed assistance. There will always be a place for you here and we hope you can come back to visit the family soon!! Big love Savuth, Savon and the family. I volunteered here on July 4, 2016 until July 17, 2016. I had the best time here and I loved every moment of it! At first, I was very hesitant about coming because I have never travelled alone before, but after meeting the volunteers, the family, and the kids, I fell in love with it instantly. I grew very close with many volunteers and I loved… read more teaching at the public school with all of the children. Savuth and Savon were so welcoming and I cannot wait to come back! I hope to stay longer next time so that way I can really get to know the children better. I have no regrets, other than not staying longer! I had the privilege of spending 4 weeks here in May 2016. I came based on the positive feedback I saw on workaway and was not disappointed. I had the most amazing month here! Savon and Savuth and both their children make up the most welcoming, caring and selfless family I have ever met. Savon ('Mama') cooks amazing Khmer food every day and always… read more takes amazing care of all the volunteers, she truly became my, and everyone else's, Cambodian mom. The school itself is so special- the kids are so cute and most are very eager to learn. There is a real sense of community in the village and it is so special seeing friendly faces waving to you as you walk to the market or the local coffee shop. The other volunteers were wonderful and I made some amazing friends from all around the world. It's very convenient because while you have the feeling of the real Cambodian village life, Siem Reap is only a short tuk tuk away so if you want to go to the pool, have a Western meal, or use fast internet it is very easy to do so. I had the best month here and would 100% recommend it to everyone! 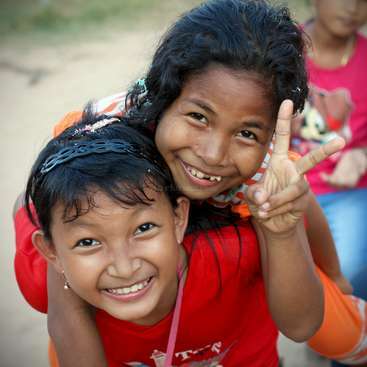 If you go you will have the opportunity to really experience Cambodia and it's amazing locals, whilst making a real difference in the lives of the kids and young adults who you get to teach. I spend two nice week in the school. Kids are so nice and full of energy!!! They are very smart and independants. Mama cook for us very nice food everyday and you get really into the small village life where everyone is smiling! There are so many volunteers so u can meet many nice people to share the experience with!!! Also it would be great to… read more have volunteers who have professional teaching skill, because some things are difficult to learn to kids if your not a professional teacher! We spent two weeks here and really learned a lot. The work was mainly planning and teaching free language classes for kids and adults. The most common classes were English and French, and we helped with both. I had limited teaching experience before, but found teaching English a very different experience- both challenging and very… read more rewarding! Class sizes were small which made it easier to focus on individuals. Abilities varied a lot so iI found it good to have prepared several options of activities for each class. The kids, overall, were eager and willing to participate, despite coming to these optional classes after their normal Khmer classes. Savon greeted us on the first day and told us to call her Mama. All the volunteers, she said, were treated as part of the family. We found this to be very true! Volunteers stay upstairs in basic fan rooms in the family house, share big group meals (always varied and delicious), and have free use of the schools's scooters and bikes. There were a lot of other volunteers working at the same time as us (so many, in fact, that work was spread quite thinly) and there was a nice social element to the project. I would recommend potential Workawayers to consider committing longer than two weeks; at the end of our stay we were just beginning to get to know our students and how to manage a classroom. We'd have liked to kept at it but our visa was running out! Many thanks to Savon and the family for making us feel so welcome and for sustaining such a worthwhile project. Best wishes for the future! You were an absolute pleasure to have come and stay with us! We were so grateful for the two months you spent here. You helped out wherever help was needed, assisting the running of as well as teaching the students. We would also like to say a huge thankyou to you on behalf of the students they loved you and you were a… read more natural! We wish you nothing but the best on your future endeavors. Words can't describe the time I spent here. I spent two months here (from January to March) after leaving a previous organisation, and I'm so glad that I made the change. Everything was awesome! Every single day spent here was great and there was always a lot to do. I was teaching 2-3 English classes from Monday to Friday. For the rest of the… read more day we were creating flashcards and games for the classes, helping in the construction works and in the big garden behind the house. I was also helping with managing the social networks, describing the school and our activities to some Italian tourists that were passing by the school and I was also taking a lot of pictures for the school. I enjooyed every single second spent there. The family is amazing and they make you feel home and part of it after one second that you arrive there. They make you feel loved and cared every single moment and they share stories, traditions, experiences, knowledge with every single volunteer coming there. The food was always amazing and I really miss it a lot!! I loved going to the market every single day to buy food and to improve my knowledge of Khmer language (Cambodian people are really happy to teach you Khmer and to help you to improve it). During the weekends you can enjoy the quietness of the place or going to Siem Reap city (just 15 minutes far by tuk tuk) or to Angkor Wat temples or to Tonle Sap lake... you have a lot of options and you won't get annoyed for sure! During some weekends we were just relaxing at home and on the rooftop of the house. The students are awesome and I love and miss them so much! they are really willing to learn and to enjoy the time that they spend in class. The other volunteers I share my time with were also awesome and I really miss them so much because we were always helping each other and enjoying our time together every single moment of our time spent there. I would recommend this place to everybody who want to help and make the difference, so come to help this family-run school. I want to say again thank you from the deep of my heart to everyone! This was the best volunteering experience I have ever had so far and I will never forget my time and anyone here. My Cambodian family, students and home are in my heart and I hope to be back soon. 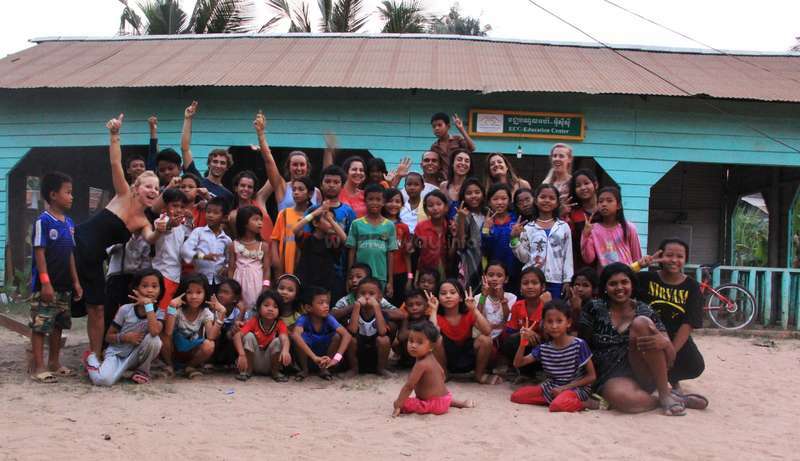 I volunteered for about two months last year and met some amazing people during my time in Siem Reap. Signed up to be an English teacher but they were in need of Korean teachers so I taught Korean instead. Savuth was crucial in developing the school to expand at great rate by organizing organic farm and additional superstructures. Savon made sure… read more there was plenty of delicious Cambodian dishes for everyone who was volunteering at all three meals. All the kids are lovely and you will find this experience very fulfilling. Teach 5 days a week and explore the city on weekends. Can't thank enough to everyone who was part of this organization. I had an amazing time here and I'm sure anyone who decides to join the family will do too! Aligatou we were so grateful to have you here with us, what a great couple of months! We didnt want you to leave, you were such a great benefit for both the school and kids! Thank you so much for your kind words! Keep on shining, we wish you all the best! Finally having time to leave a feedback after left almost 2 months ago. Looking back last 2 months I have no day not think about this place. I spent 2 months there and these experiences make me feel that I've got a place to be back again. I found so many things as learning Cambodian history, culture and strong progressing by all the people who… read more stayed and united for blighter future. It's not only experienced that have learnt and got know my self in these days and feel so much appreciation to got opportunities to study skills for future. As place to make us feel that you have nothing worry about tomorrow, Total coordination of kindness safety healthy food energy compassion nature smiles and more. This is the life study and won't forget the rest of life. And big thankful for I've met people from all over the world with beautiful heart. I've got remarkable people to call life's friend. Hafez was a wonderful attribute to both the school and kids here. We are so grateful he decided to come and spend his time with us. A lovely, genuine, reliable and hardworking guy! Thanks again Hafez, we wish you all the best! Will was an absolute credit to have here! Helpful, kind, funny, friendly, good quality and most importantly a fantastic teacher. Will ensured his lessons were always planned and prepared, going above and beyond. Everyone here will miss him greatly! We were so thankful to have him here with us & there will always be a place in our home for… read more him. All the best Will on whatever your future entales. Love always Savon, Savuth, Soktier, Channa and all the students. I had the best time volunteering here. I stayed for 3 weeks but could have easily stayed longer. The work was easy, I taught for 23 hours a day and also spent a lot of time playing with the kids, who are adorable! Savon and the family were amazing hosts, making you feel at home and letting you get involved in all aspects of their lives. The food… read more savon cooked in particular was superb,with different foods everyday and always veggie options. The social life was also amazing, there was always something going on in the house and we regularly visited Siem Reap to swim, drink, eat or get a massage. I would thoroughly recommend it to anyone. P.s. A massive thank you to the Savon, my fellow volunteers and the kids, who made it so incredible. I volunteered at this school for almost three months and overall it was one of the greatest experiences of my life. I cannot find the words to describe the generosity of Ms Savon and Mr Savuth. They have the biggest hearts I have ever come across. resources are limited and accommodation is very basic. However the volunteers, students and a… read more general family atmosphere make this a wonderful place to live. If you are willing to put the work in the teaching will be very rewarding. Most students are very grateful and eager to learn. If you don't have any teaching experience you will always find lots of support from other volunteers. on the roof of the house is a balcony where you can view awe-inspiring sunrises every morning. There are local coffee shops and a market near by. the city centre is only a short tuk tuk drive away, making for easy trips into the city during weekends. Ms Savon and Mr Savuth really treat you like family. When I was sick Ms. Savon took care of me. We were invited to local festivities and weddings and treated as family. By the end of my stay Ms Savon called me 'son' and I referred to her as my "Cambodian mom". Just thinking about this again makes me feel very grateful for their kindness and generosity. So to conclude, if you choose to volunteer here, arrive with an open heart and mind you will not be disappointed and will likely have an experience that you will remember and cherish for the rest of your life. Kieran was an immeasurable benefit to the school! His knowledge and enthusiasm for teaching manifested in his generous contribution of a complete and easy to use teacher's handbook he personally wrote as well as in the excited and engaged students which were the hallmark of his stay with us. Kieran contributions to the improved organization… read more and capacity for us to grow cannot be overstated. He was a mentor to new teachers and a great friend to old ones. We will miss him and his efforts dearly! I am so sad I left this amazing place... The family, the kids, the village and the volunteers couldn't be better. The school is doing a great job helping the people around, they are always thinking about how to give more to their community. This is a big famiy and everyone gives as much as they can to make you feel at home, Savon and Savuth take… read more care of you as if they were your own parents! I am so gratefull I found here. I will come back for sure! Thank you for this amazing experience!! Nothing but good words for this lovely family, school and organisation. My plan was to stay here for two weeks, now it's almost 3 months later, and I feel terrible to leave. Yes i lost my hearth here, yes i come back. No words to discribe the warmt of the family, they threat you like their own children. When you're sick they bring you medicine,… read more they make some healthy cambodian tea and they make you sure you feel better. The atmosphere between the volunteers is great, everybody is willing to help and is there to help the kids and the village. Wat Po is an amazing village, the people are friendly and really thankfull for your help at the school. I want to thank all the volunteers who made the place to what it is now, and my new Mam, Dad , sister and brother, i have a second family. See you in November. First of all, you are missed! Especially by Hideyo who mentioned you and your work here nearly everyday. The fund raising page you created has helped us to raise nearly $2500 not to mention the direct donations to the school from volunteer's families who visit the site. You were among the very best we have had. Relaxed, diligent, and… read more above all competent in a wide array of skills. We patiently await the the second coming of Nick. Ma Savon and Pa Savuth, Pohn Srey Channa and Pohn Proh Soktea became my second family in my 6 weeks here. From the moment I arrived until the moment I left they made me feel loved and cared for (when Mrs. Savon gives you a slap it means she loves you) and not a day went by that I didn't enjoy waking up in the morning to live and… read more "work" here. The family cared for each other, the school children and the volunteers in so many ways and you feel like a member of the family that has lived here your whole life pretty quickly. Couple this with the ebb and flow of some amazing and down to earth volunteers (like the second coming of Dave) makes this a volunteer experience that I would have liked to stay at for a long time. Work was fairly simple at the base level and easy to execute (take the tour then talk to Frank. He knows all), but it was up to volunteers here to do what they think needed to be done to improve the school and positively effect the surrounding community. I got a little more involved than intended but it worked out to be one of the most valuable experiences of my lifetime and I am glad that volunteers are continuing to arrive here to pass the torch and help the community get out of poverty, one hour of language class at a time. We had amazing food everyday and most mornings Ma would bring us the "gasolina" to get our day started. My vegetarian diet was catered to amazingly and Mrs. Savon would cook up some awesome meals for everyone to enjoy. All of the produce was bought daily from the local market or gathered from the garden and was really fresh when it got cooked. 6 weeks later and I still miss me some sweet and sour tofu. The surrounding countryside and villages were beautiful and made for inspirational sunrises and a great impromptu picnic spot. You really get a feel for actually living in Siem Reap by staying here as the family is local and take part in many community festivals and events. Furthermore, if you like to get out on the weekends or have a bit of western food/drink, then Pub street and many international hotels are close by and most other Cambodian hotspots can be reached within 8 hours by bus. There are no boring weekends here! All in all the best volunteering experience that Ive had while volunteering for 2015. If the reviews don't convince you, just go, as the experience will. Much love to the family and volunteers! Thank you very much for the time and effort you shared with us here! We hope you are enjoying your new adventure. If you get the chance you are always welcome back home! You were fantastic teachers! Always happy and fun and engaging for our students. We still talk about you as an example that young volunteers can be some of the best. We had an amazing time at this School, Savuth and Savon are really extraordinary hosts and the effort they put into the school is outstanding. We really enjoyed being with their family, the other volunteers and all the kids and learned a lot during our stay. Thanks for everything, We hope to come back one day!! We are very grateful for the time you spent with us. Ben was a tremendous help in the construction of our new classrooms and Lindsey was a patient and diligent teacher. We only wish you two could have stayed longer. This is a lovely school with an extremely important mission: helping local people of all ages learn new languages. Here you will make a positive difference on your very first day, and things will only get better from there. Aside from teaching and helping with construction and gardening, you will become part of the tight knit communities of the… read more village and the school itself. Savon and Savuth are amazing hosts - you can count on delicious home cooked meals and being treated like family while your there. We only were able to stay for a week but would've stayed a month if we could have! Thank you Savon and Savuth for welcoming us into your home! We will be thinking of you often! I will never forget my time here! The moment I arrived I was greeted by waving kids and puppies. Savon and Savuth were excellent hosts; they are truly making a difference within their community and you can't help but feel proud to be a part of it. Each of the volunteers was a character of their own and daily life was almost like a sitcom. I had… read more never taught English before and really hit the ground running, but I learned a LOT really fast and everyone was very helpful in getting into the swing of things. But the best part of it all was getting to live with the locals rather than amongst them as a tourist would --- while hanging out in Siem Reap and seeing the temples on the weekend was fun, none of it compared to riding bikes through the countryside, drinking iced coffee in the village, having language exchange with Cambodian locals, and playing jump rope with the cutest kids in the world. Seriously, if you are considering going to Cambodia and want to leave behind more than you take away, it really is a magical place. I miss it more every day and cannot thank Savon and Savuth enough for the wonderful experiences I've had because of them! Thank you very much Fran. Your stay was a wonderful benefit to all our students. We hope you carry your happy memories with you. The parents of the children you taught also wish to thank you for your great effort. Brilliant time here! Would recommend here to anyone. What was meant to be one week turned into three as the family are so endearing with their kindness and generosity to both the volunteers and the children of the surrounding community. As Savon liked to remind us, you are her family and when you are here she is your Cambodian mum :) and genuinely… read more you feel like part of the family. Savuth, Savon, Channa (daughter) and Suktir (son) have been known on several occasions to give up their own bedrooms and sleep in the living room for volunteers to have a bed, that sums up this family that they will give up so much for others. Met an amazing group of people during my stay and had some fab experiences from tongle sap lake to a traditional Cambodian wedding :). And let's not forget the day to day life of living amongst Cambodian people in their village. Thanks for having me Savuth and Savon :) I've made some amazing memories here and met some fab people, plus the kids are super cute who you teach and will have you doubled over with laughter. This is an absolutely magical place! I'm not sure if I've ever met a family with such an enormous heart as that contained within the home of Savon and Savuth. They are infinitely kind and appreciate the help of their volunteers so much. I spent one month teaching here after leaving a previous organisation, and I'm so glad that I made the change.… read more The kids can be cheeky at times but once you've spent a few weeks getting to know them they are sweethearts. The second campus of the school is in a lovely pagoda and the surrounding countryside is stunning, from the river to the fields to the temples. I always felt part of the family and Savon cooked me an abundance of delicious vegetarian food. Her garden is incredible, future volunteers will be very lucky once it begins to fruit! This is exactly what a not-profit school ought to be, run directly from the heart, and they would hugely benefit from some long-term volunteers to help get this dream off the ground - if you want to pitch in somewhere that it will truly 'make a difference', then this is the place. Come here with an open mind and a desire to challenge yourself and it will all come back to you tenfold. Good luck with everything, I'll see you again someday soon! Thank you Eleanor for staying with us. Thank you for helping us make a system. The student enjoyed your classes! We very much hope to see you again here. We wish you all the best in the future ! I stayed for 3 weeks in July and it was so good! Savuth and Savon are such warm and friendly people, always smiling and laughing. Savon is an amazing cook and you will eat really well here! The surrounding area is fun to explore either on the scooters or bike or walking and all the locals are really friendly. Also only a short trip into siem reap… read more centre if you feel like it! The classes that I taught were both beginner classes with varying levels of English understanding. You have complete flexibility with lessons which was great but also sometimes hard to know what they had gone over in the past. We put together a 'teachers diary' folder system so you can see what previous teachers have done in their classes and reviews of them. It would be awesome if everyone kept this up to try and track what the students are learning. The students are really eager to learn and a pleasure to teach. I would 100% recommend this place so please please please come and help out as they hugely appreciate it, as do all the children. You will be looked after really well and also have a fair bit of free time to explore too. I met some lovely people here and want to say a huge thank you to everyone and especially savuth and Savon for their kindness and love! Thank you Lily for staying with us for 3 weeks and helping out teaching! The student enjoyed your classes and all the games you made them play. We hope to see you here again and please know that you are always welcome. I volunteered here for 3 weeks and I miss Po Krum every day!! Savon, Savuth, Channa and Sokthea are an amazing family. They look after you like one of their own… I got sick from sun stroke one time and Savon cared for me like my mum! Savon also makes fantastic food and caters to us awkward vegetarians… she makes the best morning glory in all of… read more Asia! The family give up their home so that the volunteers can sleep comfortably upstairs, and nothing is too much for them. I got to try teaching for the first time and loved it. I taught 2 advanced classes a day and was amazed by the children's excitement and eagerness to learn English. Some boys were a little naughty at first but all you need is a bit of humour and the right attitude and they will be your best friends before your time is up. I was so sad to leave the kids!! The lessons go so well if you put the effort in… try to learn the student's names, make up some fun end of lesson games, get the kids involved in making resources (inc. posters for the walls) etc. You will have an amazing experience. Also learning to ride the motorbike is a huge bonus… nothing compares to riding through rice fields everyday to classes at the Pagoda school and seeing real village life. Classes run in the morning and afternoon so there can be big gaps in the day. We used this time to make resources, plan lessons or go into Siem Reap by tuktuk (great for food and hotel pools!). There is also a lovely cafe 5 mins away which does amazing iced coffee! If you like horse riding then I would highly recommend doing a tour of Angkor Wat with Happy Ranch Stables… It's close and an amazing way to see the temples with fantastic guides. Also make sure you head on to the roof to see a sunset…. no words! So as you can probably tell from this huge post, I absolutely recommend this as a place to volunteer. Your work really will help the children's chances of better quality employment/education and help their communities. I learnt a lot from the Cambodian way of life and I'm sure you will too. Thank you Rowan for you help and contributio. The kids loved you and so did we! We hope to see you again, you are always welcome here. We miss you guys as well! We stayed here for three weeks and it was an unforgettable experiance! Savon and Savuth were great hosts and the other workawayers were amazing! Everyday we would bike to the school through the Cambodian countryside. It was an incredible way to experiance Cambodian life. Not to mention the adorable children! This work away would be especially… read more good for someone willing to stay for a few months and really build a relationship with the students. Thank you Kate for helping us ! We hope that you will come back and hopefully by that time we will be finished with the garden and be more organized. We have been very happy to have you stay here and we wish you all the best in the future. Savon and Savuth have a wonderful aim for their community school kids and I would love to see this in a year and see how it has progressed. Chenna and Soti are their kids and are full of fun and smiles. There are little cafes you can find Ice coffee at and markets as well as Siem Reap and Angkor Wat which are all worth spending time checking out (… read more independent price quotes are a good idea as there is a vast differences in value for money ). spending time with the cheeky and eager ( sometimes restless kids) was a big highlight and meeting other travellers and learning more about cambodia and the determination of the Cambodian people to make a better communities made this a rewarding time here I won't forget. Thank you so much ! Thank you for staying with us Rosa. Thank you for you help teaching the students. We hope to see you again. You're welcome hear anytime ! Wish you all the best in the future. My time here was unforgettable, I couldn't have asked for a more welcoming, kind and lovely family to be hosted by and the kids at the school are amazing. I miss Savon's cooking and Channa's jokes :) if you want to truly immerse yourself into Khmer village life then this is the place for you. You have the freedom to plan and teach based on what… read more you think the kids can handle and they are really eager to learn and love games and songs. This was the highlight of my trip and is such rewarding and special experience, I miss the kids and the family very much! Thank you Sive for staying with us for over 1 month ! We really appreciate the help you have done for us here ! The students loved your classes and we have very much enjoyed your company here . We hope you will come back and stay with us in the future! I really enjoyed my stay here. You live in a small village close to Siem Reap and get to know the real rural cambodian life. You live in the same house like the family and Savon is cooking every meal for the volunteers. Savon and Savuth are great hosts! The teaching is not easy because you can't speak Khmer. but the children are very thankful… read more and willing to learn. It is awesome what this family created in one year. A lot of children visiting the classes in the morning and afternoon. Between the lesson you have free time or you can help with other things like in the garden. The atmosphere is very relaxed. In your freetime you can always take a tuk tuk to town. At the moment they start to create a big garden in the backyard and need help with gardening. Here you can meet a lot of other travellers because they can host up to 10 volunteers. I don't want to miss this experience and I really enjoyed my time here. Thank you for staying with us Lauren! Thank you for your great effort in classes. We wish you the best of luck in the future and we hope to see you again here ! This is a lovely place to workaway. Savuth and Savon treat you like family and the food is excellent especially breakfast. Teaching was enjoyable and it was nice to have the freedom to plan lessons for the kids. Thank you Dylan for staying with us for almost 3 month! The kids enjoyed your classes and you great engagement in the different competitions you made them do. Thank you for helping us restart the building project. We wish you the best of luck in the future and hope to see you again here. I arrived here the 20th of February, just 10 days into my first trip to southeast Asia. Being this my first experience volunteering I didn't know what to expect, so i decided beforehand to stay for just 2 weeks. Those two weeks became a month, then second visa to Cambodia, an then a third. I spent almost three months, having the best experience… read more of my life. I cannot say enough about Savuth and Savon Chana and Soktea, truly making me feel part of their family... and of course all the kids from the village. I'll never forget All the volunteers i met , that made my time there so special. Leaving this project and cambodia left me with a deep void in my heart but i know for sure that i'll be back in the future, knowing that i contributed in to building something so special. Thank you Tim for all you have done for us. The students loved your classes and your different approach to teaching. We loved the way you made the kids interact more with each other. We wish you all the best in the future and hope to see you again here ! Awesome attentive family, amazing high energy kids at home/pagoda classrooms and a gentle mix of volunteers creates a sense of community. Rural environment offers you the chance to make a real difference in a child's life. Thank you Alexandra for your help. Thank you for your helping us with more teaching material and creating a lesson planning paper, it has been very helpful. Wish you the best of luck in the future! Teaching here and staying with Savuth and Savon was an amazing experience. They made me and the other volunteers feel part of the family and take care of you like their own. It was great teaching the kids who are eager to learn. You should be creative lesson planning, because there aren't materials or a curriculum, currently. However this can be… read more really fun! Thanks so much for everything!!! Thank you for staying with us Brent and for passing on all of your previous experiences with teaching. We really appreciate all you did for us and the children truly loved your classes. Thank you for the great teaching material you provided us with. I has been really use full. Wish you the best of luck in the future and we hope to see you… read more again ! I worked here for 3 weeks teaching English, and it was an incredible experience. The family is warm and accommodating, and I learned far more about Cambodia than I would have staying in hostels. The volunteers presently involved in the school are motivated and attentive. It was easy to fit into the social group. I can't recommend this organization… read more enough. Thank you for staying with us Nozomi ! The kids enjoyed your effort in the classes as well as dancing and doing yoga with you after classes. Thank you for bringing so much joy to us here. We wish you the best of luck in the future. I had a wonderful time volunteering at this school, established by Savon and Savuth. It was my first experience teaching English to children, and I have to say I really enjoyed it. Teaching was challenging at times due to the varying levels in English skills amongst the local children, however at the same time it was rewarding and the children… read more were eager to learn which really made things easier :). I taught three 1-hour long classes during the weekdays with another volunteer, and the weekends we had off. Since the school and home isn't far from the city centre of Siem Reap, we were able to go into town on the weekends or do whatever we wanted to do which was appreciated. The best part of the experience for me however was feeling like family. Savuth and Savon are such kind hearted people, and they really see and treat the volunteers like family. The children in the home are sweethearts too, and I miss doing evening yoga with Channa and Ratana! (If you like yoga, they would happily practice with you!). I would highly recommend volunteering at this school. As long as you have an open and willing heart, you will definitely gain a wonderful experience teaching English to the local children, and spending time with the other volunteers and Savon's family. Thank you for making my two weeks there an awesome memory and experience I will never forget! I shall definitely return :). Thank you so much for staying with us Bjorn. You are a great worker and we valued all of the ideas you gave us and the calming influence you had on the house. You are a very clever man that did a lot for us and you are always welcome back- you are part of the family, you are a great coordinator and suggestions . is a very hard worker… read more and very kind man. He was very easy going and eager to work. Tons of fun, a wheelbarrow full of laughter, food on the table, awesome children, projects coming along (slow but steady), Savaun and Savuth, red moon and dust, ice coffee, good people, a lot of plastic; to ad something not awesome (yes this place exist) and more. An easy place to rest in the hammock of your smile! Quite a late feedback but better than none! We had an amazing time in the school, met great people and experienced the real Cambodian lifestyle on the countryside. The teching was a bit difficult at the beginning as we didn't got any introduction or overview of the kids level. But thanks to the other volunteers and young Khmer assistants who explained teching basics to us and supported our lessons through translating the tasks. We also met many nice other volunteers there and had some fun evenings sitting together in the community area, watching Cambodian TV soaps with the lovely vivid kids in the living room or exploring the countryside with them. The family also organized a trip to Anchor Wat on the weekend for us and showed us around the ricefields. If you want to support the poor kids in Cambodia, experience the rural lifestyle and meet great people, I highly recommend this place! They deyerv as much as support as possible! I could know life-style, their thought, relations with another organizations and families. Especially I love the family. They applied us great meals and nice places, and told us Cambodian history and current situation. And they have wonderful aims. But they sometimes don't have enough stuffs. They have some room of improvement. So I'd like… read more volunteers to discuss with them about their future. For example, getting dictionaries, accommodation's stuffs, and their direction. I really hope they can become more wonderful place. Two weeks are already gone after my departure from the school but the memory of the great time past there is still vivid and it will remain forever in my heart . I have been working there for around 3 weeks from the end of January untill middle of Febbruray . I help to building a new part of the house for the volunteers and for some guest that… read more will support the project . Mostly we worked to build the big terrace that has an amazing view to the fields , the small villages and to the Pagodas . The work wos really good because thanks to Savuth ( he can make wery well so many different jobs ) we could learn every day something new ( specially for me ) in relation to the Cambodian way of building and culture , at the same time we had also a lot of fun with him ( he has a very good behavior toward the people , he is really a "special" man ) ; the work wosn't to heavy : 4/5 hours per day and not in the hottest time. The relations with the others volunteers were another remarkable life experience : always friendly and simple but true , we share the space but we share also some part of our feelings , thanks to Manu , Beca , Michael , Pia , Minjeoung , Juraj , James and Sara . Savaun , the wife of Savuth , is also a very "special" woman always thinking to take care of the volunteers in many different ways : the smile is always shinning on her face ......the delicious food prepared for us with her heart . The children of the family were also great giving to us the happyness feeling of the family and I felt to be part of it . I miss you all my friends , I miss the landscape of the countryside , I miss the music of the celebrations around us , I miss the sound of the monk's prayers , I miss.............. Cambodia . Thank you so much for staying with us Sergio. You are a great worker and we valued all of the ideas you gave us and the calming influence you had on the house. You are a very clever man that did a lot for us and you are always welcome back- you are part of the family. Sergio is a very hard worker and very kind man. He was very easy going and… read more eager to work. Thank you so much for coming to help us Minjeoung! We will not forget you and would love for you to come back. Minjeoung was an amazing volunteer. She is very kind and a great teacher. She even extended her stay in the hopes we would be able to find another Korean teacher to replace her. She was dedicated to her students and has a great heart. I stayed there couple of weeks and had really nice time. They are a lovely family with big hearts putting all their efforts to make this project run. The food was amazing, i still miss it and the kids are fantastic. I had an amazing time volunteering here. Savaun and Savuth treat you as family and I cannot imagine a kinder family to be hosted by. The five dollars a day doesn't even cover the the food I eat in a day. We are fed like kings and Savaun is a wonderful cook. She will go out of her way to accommodate your needs. I worked as a teaching volunteer… read more here for just over a month. The school is new and lacks funding so there aren't many materials at your disposal. You will have to be inventive, but the kids make it easy as they are well behaved and EAGER to learn. None of the students have access to any other form of language classes as they cannot afford private schooling. To volunteers looking to teach, your services are needed here- english, japanese, and korean. Those that are able to stay long term- I can't imagine somewhere you could feel more at home. You can get a real sense for life in Cambodia and Siem Reap is only 5 km away. They are also building more rooms for volunteers as they just opened a new school. And they are also starting a garden project! There is lots of work to be done for this new NGO. I am very sad to leave the project. Savaun, Savuth, and the rest of the family truly have hearts of gold and I wish them all the luck in the world with the development of this NGO! Have Fun and Help out near the beach! La Paloma, Uruguay!